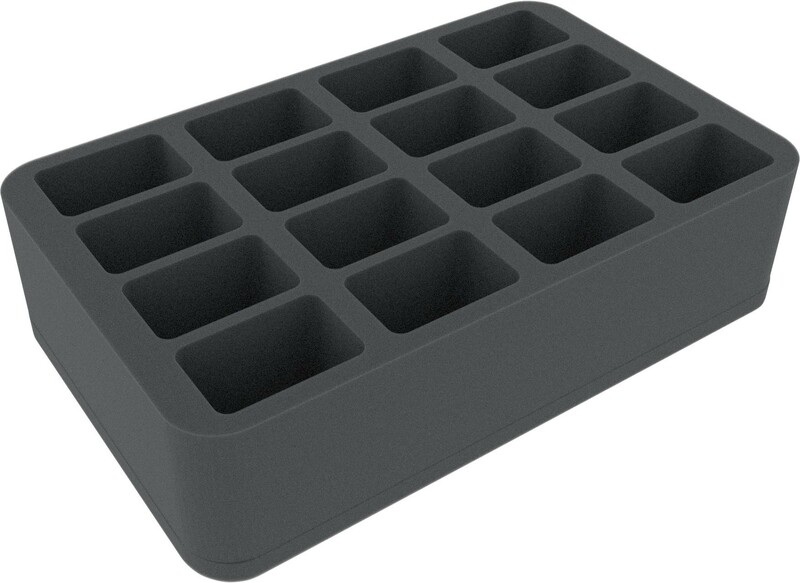 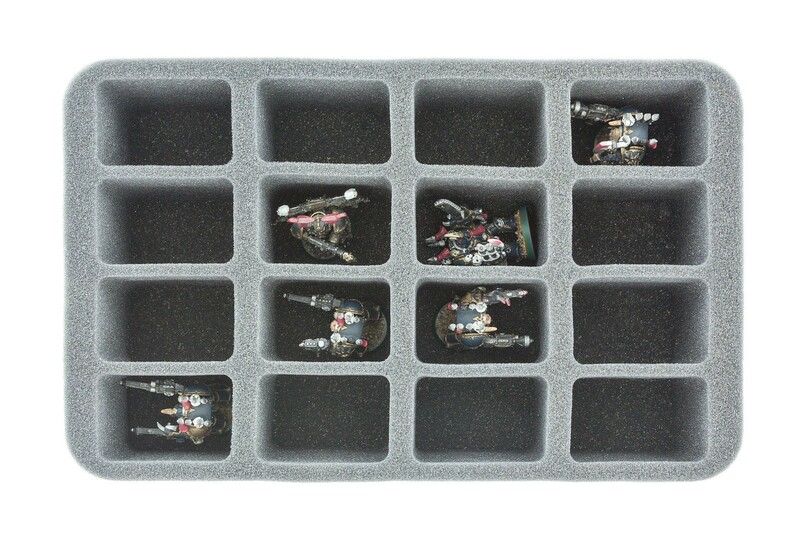 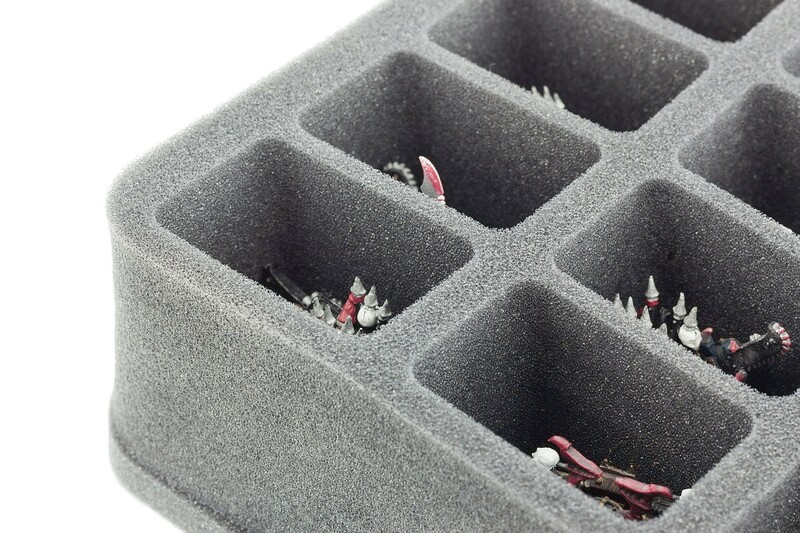 Foam Tray for bulky miniatures - awkwardly to store. 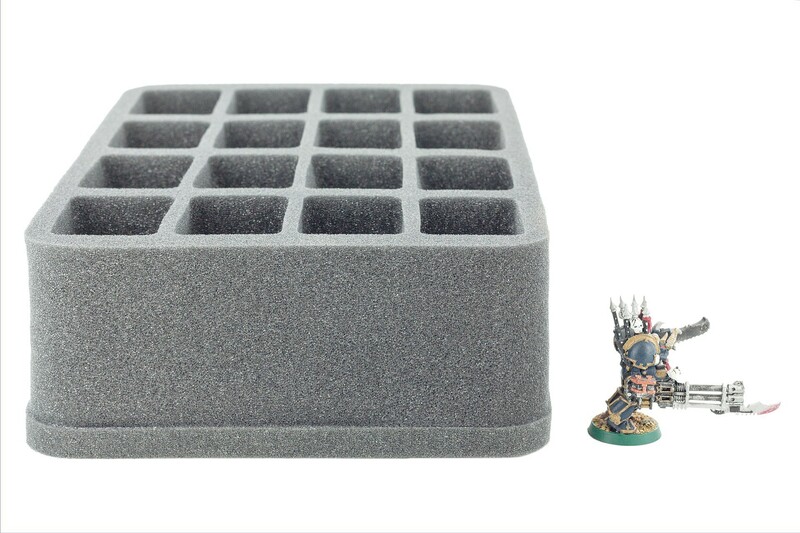 Foam Tray for bulky miniatures - awkwardly to store. 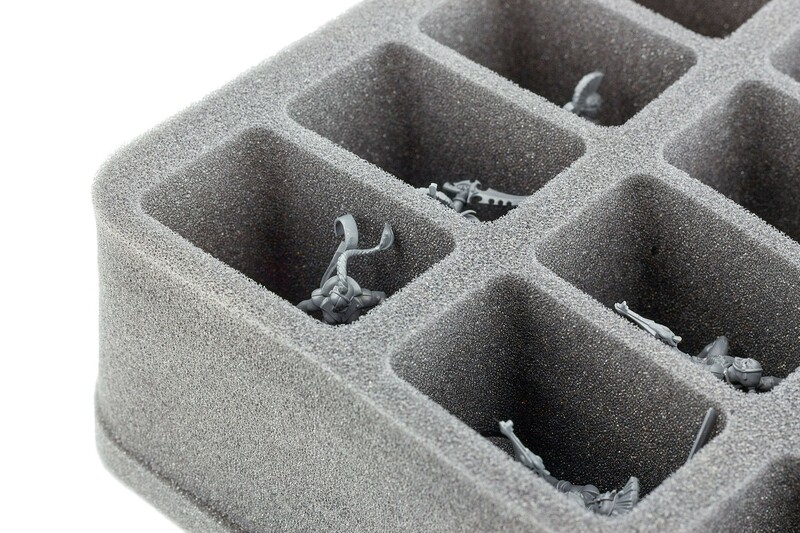 For models on Bases up to 35 mm diameter / edge length. 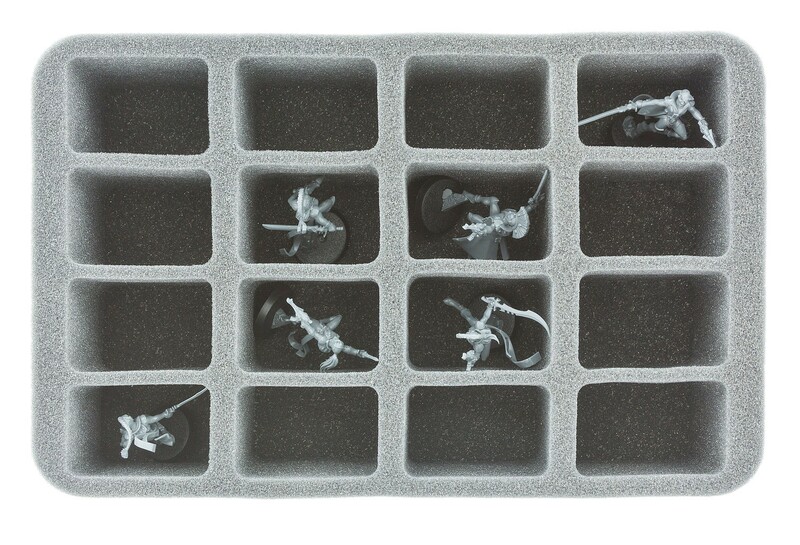 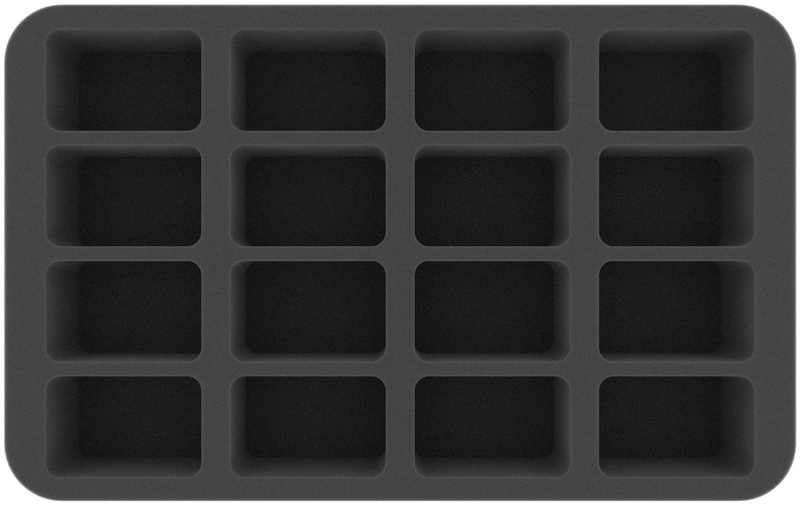 ​The 70 mm depth of the foam is result from 10 mm foam base and slot foam tray with 60 mm effective depth.